Essential Sports Nutrition is the new authoritative reference to eat right for an active lifestyle. Sports nutrition is a vital element for reaching peak physical performance. To maximize workouts and athletic ability, Essential Sports Nutrition offers the most up-to-date nutritional guidance along with delicious recipes to make eating right for an active lifestyle, easy. Marni Sumbal, MS, RD, CSSD, a board-certified dietitian who specializes in fueling endurance athletes, breaks down the science of nutrition with easy-to-follow explanations on the right things to eat and the right time to eat them. Complete with 24 recipes for before, after, and during exercise, Essential Sports Nutrition is a user-friendly reference on fueling to meet your fullest potential. A nutritional overview that includes new research on sources of nutrition and components of an ideal diet. Nutrient timing that teaches you what and when to eat before, during, and immediately after exercise for the best results. 24 recipes for before exercise or competition, during and after exercise, plus recipes for rest days. 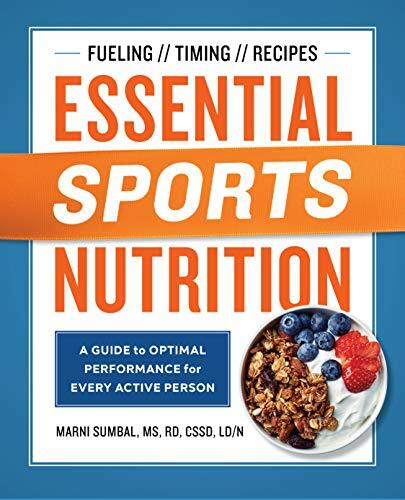 Whether you practice an endurance sport or engage in recreational exercise, Essential Sports Nutrition offers the guidance and recipes you need to eat, compete, and succeed. View More In Medical Nutrition. If you have any questions about this product by Rockridge Press, contact us by completing and submitting the form below. If you are looking for a specif part number, please include it with your message.